Some lifters will tell you that it’s OK to cheat. After all, Arnold Schwarzenegger himself said it was an acceptable method to promote muscle growth; during his bodybuilding days, Schwarzenegger popularized the “cheat curl”—a technique that sacrifices form for pure work volume. Cheat reps can be effective—but for today’s workout from Men’s Health Fitness Director Ebenezer Samuel, C.S.C.S., we’re going to ignore Arnold’s methods. Strict form is the rule of the day, so that you can really isolate the peaks of your biceps for a by-the-books pump. 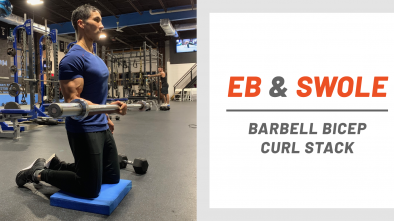 “We’re focusing on the top half of the biceps curl motion with this curl, and we’re doing so in a way that’s not going to let you cheat,” says Samuel. You’ll be kept honest by the move’s unique positioning, with your back pressed up against a wall. Even if you want to let your form slip, you won’t be able to fudge a rep.
To perform cheat-free wall curls, you’ll need an open wall and a set of dumbbells. Grab a weight that’s lighter than your standard curl—remember, there’s no way you can use your other muscle groups for assistance here. If you want to try this move at home, check out these adjustable dumbbells from Bowflex. Lower the biceps back to the starting position. 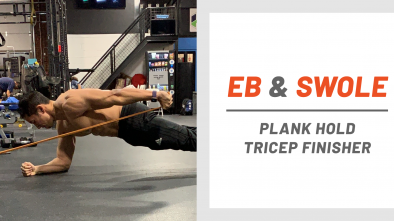 That’s 1 rep.
For more tips and routines from Samuel, check out our full slate of Eb and Swole workouts. 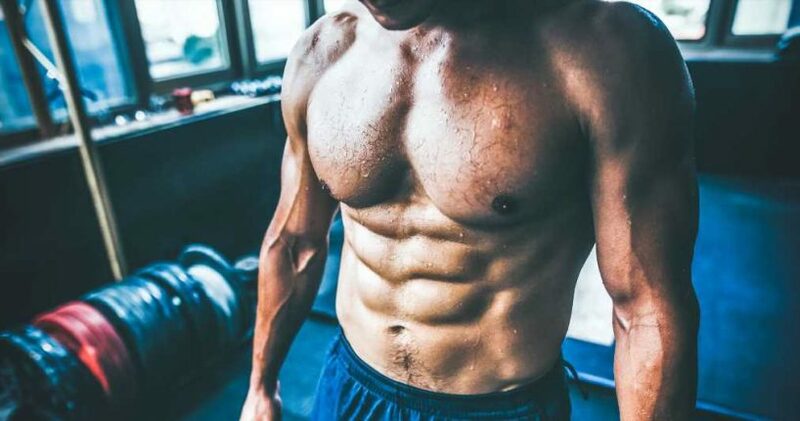 If you want to try an even more dedicated routine, consider Eb’s New Rules of Muscle program.